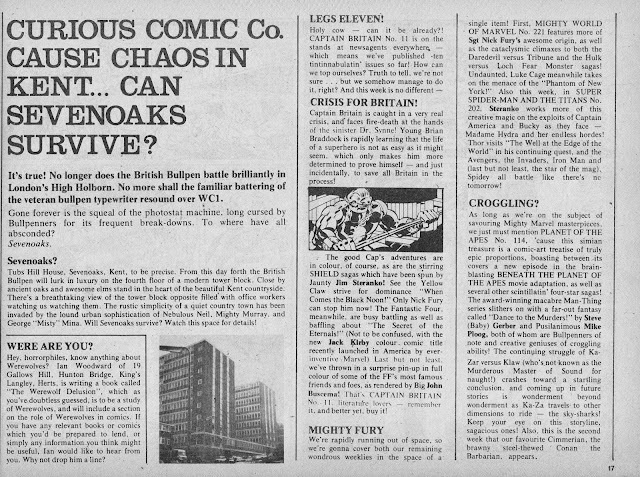 STARLOGGED - GEEK MEDIA AGAIN: 1976: MARVEL UK MOVES! Forget Panini and Royal Tunbridge Wells. 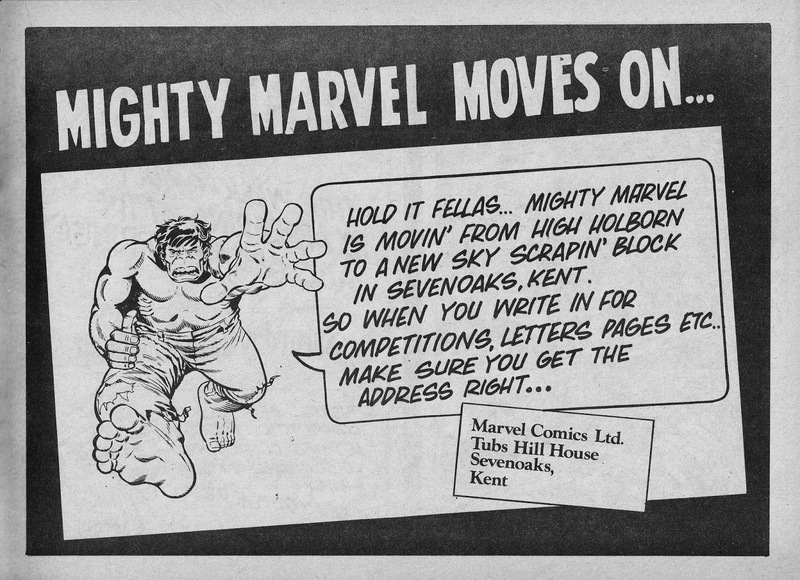 Marvel's British operation first decamped from London to Kent in late 1976 when the mini-Bullpen (production work was still handled Stateside) exited London's High Holborn in favour of Sevenoaks in Kent. The excursion south lasted two years until Dez Skinn's appropriately named Marvel Revolution "coup" forced out the existing small staff of Brits in favour of Skinn's own Jadwin House team and saw the Marvel HQ shifted back to the capital. Marvel UK, in the pages of SUPER SPIDER-MAN AND THE TITANS (which was printed in the titanic Titans landscape format) announced the move in issue 201 (15 December 1976) and followed-up, two weeks later, with more details of their salubrious new super-base in issue 203 (29 December 1976).